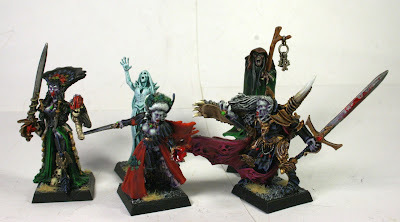 I've been busy painting up some Vampires for the army. Only the Coven Throne, Blood Knights, Zombie Dragon and Terrorghiest left to do. Hoping to finish sometime next week.